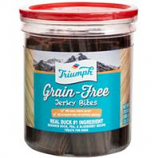 Triumph Pet Industries has been producing the finest quality pet foods for breeders and pet owners for more than 60 years. Our current line of foods has been developed with one thought in mind - the health and vitality of your pet. 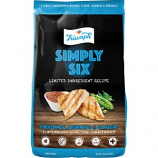 • A Low Fat, Great Tasting Way To Reward Your Dog. • 2 Flavors In Each Barrel Lamb Meal and Rice and Chicken and Rice. Real ingredients which appeal to your dogs natural ancestral instincts and cravings. Easy to digest complex carbohydrates as a healthy alternative to grains select vegetables fruits vitamins and minerals. Made in the usa. . .
Optimum protein and fat levels for maintenance of adult dogs. No corn and no soy just wholesome ingredients. High quality chicken and beef. . .
Optimum protein and fat levels for maintenance of adult dogs. No corn and no soy just wholesome ingredients. High quality chicken. 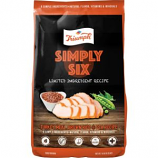 . .
6 simple ingredients natural flavor and vitamins and minerals. No corn wheat or soy. Supports easy digestion. No fillers. Formulated to help support healthy skin and coat. 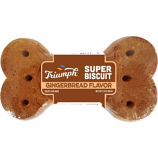 • Are A Natural Tasty Treat That Your Dog Will Love. 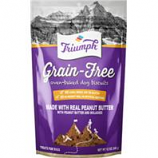 • Treats Are Inteded For Intermittent Or Supplemental Feeding. • Feed As A Snack Between Meals Or As A Training Reward. • Treats Are Inteded For Intermittent Or Supplement Al Feeding. • These Biscuits Enhance Skin and Coat With Omega 3 and 6 Fatty Acids. • Freshly Oven Baked With All Natural Ingredients, They Are Fortified With Essential Vitamins and Minerals. • Can Be Fed As A Complete and Balanced Meal. Contains no corn wheat or any other grain by product.. No artificial flavors colors or preservatives. Designed to help reduce the risk of food allergy. . .
Fortified with vitamins and minerals. No artificial preservatives flavors or color. Made in USA. . .